Our product range includes a wide range of hydraulic press brake machine, mini hydraulic press brake machine and hand press brake machine. 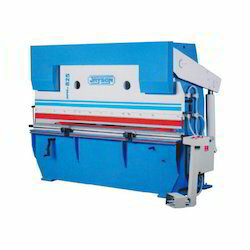 Being one of the leading manufacturers and suppliers of this impeccable range of Hydraulic Press Brake Machine, we never compromise with its standard of quality. Thus we engage in the utilization of high-grade raw materials and modern machines, in compliance with the set industry norms and guidelines. This ensures the product’s strength, capacity, performance, service life and standard of quality. 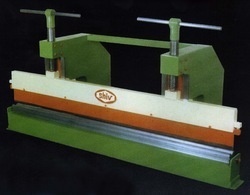 Standard V-Block and Punch are fabricated from an EN8 material. Physically operated back gauge systems are provided as Standard Accessories. Hydraulic power ensures noiseless working, enhanced safety against overload and immediate stoppage reversal of Ram. 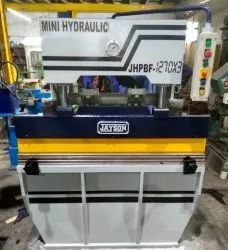 We are offering Mini Hydraulic Press Brake Machine. We are offering Hand Press Brake Machine.